EFC Group are always looking to recruit, retain and develop the best. If you think you've got what it takes to join an exciting company intent on raising standards in the Oil and Gas sector submit your CV or apply for one of our vacancies. Our Training & Development strategy is to ensure we have the right people with the right skills in the right place. At EFC Group we strive for success through long term investment in our people's development and progression. Investment begins from the moment an individual becomes part of the EFC family. Tailored induction programmes meet the needs of each job roll and covers all departments. It is key the understanding and involvement goes beyond equipment and is to the company and our culture as a whole. As applicable, there is on-the-job training and class-room based modules within EFC Group. EFC were finalists for 2013 cHeRries (HR excellence) Awards, Tremendous Training & Development category. EFC Group endeavors to develop or equip each individual with the appropriate skills. A conscious effort has been to recruit those with transferable skills from a spectrum of industries outwith Oil & Gas. University placements have proven to be a great way to introduce new talent into our business. It also provides fundamental experience for undergraduate students in the world of industry. Our placements experience challenging roles with scope to develop their business and technical skills. EFC were Northern Star Business Awards (NSBA) finalists, 2012 for the Student Placement category. Could you help EFC Group continue to be an expert solution providers in the demanding oil & gas industry? Working for EFC gives you involvement in projects which are exciting, challenging and dynamic. It will help you maximise your own potential as well the Group's. Our company is innovative and progressive. We pride ourselves on delivering tailored, reliable solutions to global oil & gas operations. The Drilling world never stops and neither do we; we embrace new technology and ways to improve to to meet our customers' needs. EFC Group aims to be your first choice of Expert Solution Providers for Compliant Controls. We are proud to call EFC Group a people business. We are a multifaceted company providing first class engineering, production and support services. Our ethos is built upon our team's knowledge, motivation and client focus. At the heart of EFC is our employees, we invest in both internal and external professional development for our team. We aim to recruit experts in our field and bring rising starts into our business via University student placements and College apprenticeship. To every problem there is an optimal solution. EFC requires committed and talented individuals who have a desire to go above and beyond. 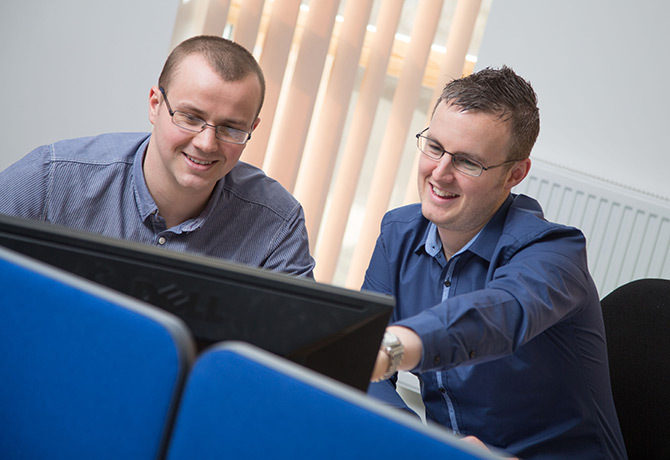 We aim to maintain high and consistent standards of quality and can provide a rewarding career. We have the opportunities; all we need is the people. Do you think we are the right fit? Are you motivated by what you read? If so please get in touch to find out how you can become part of our successful team.